Contact Mashery Support (support@mashery.com) to get your Mashery Site ID. Log on to Mashery Control Center. On the Design tab, click APIs. 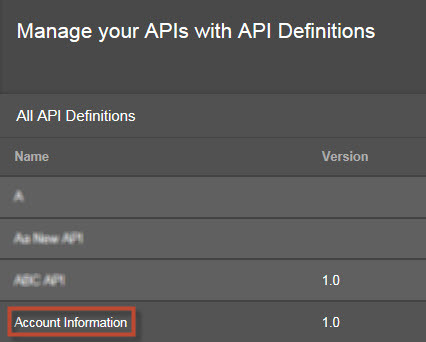 The API Definitions page is displayed. 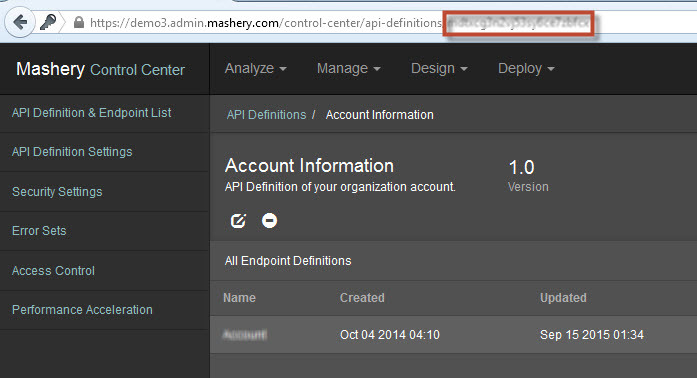 On the API Definitions page, in the Name column, click the API for which you want the service key. The service key for the respective API is displayed in the URL.